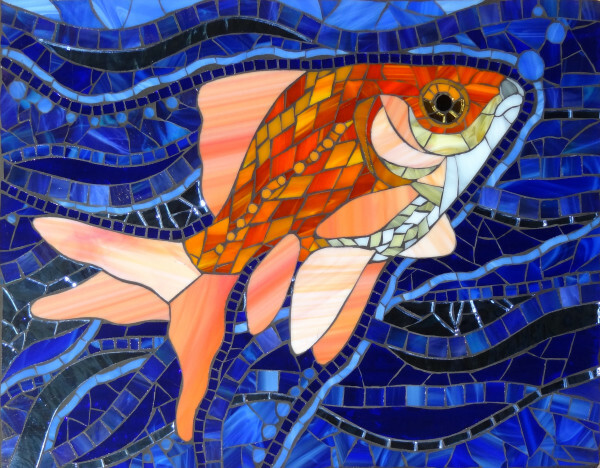 Barb is a self-taught glass mosaicist living in Lanesboro, Minnesota. Her path to mosaics began when she took a class about stained glass windows. After creating several pieces, she had quite a bit of scrap glass and decided to try making a mosaic. She absolutely loved it and found she had a knack for it. She created a second project, but that was it for a while. Then she was inspired by the ancient mosaics during a trip to Italy. Fired up, she couldn’t wait to return home to create another piece. They have been coming fast and furious ever since. Drawing upon her training in art and graphic design, Barb’s artwork continues to evolve and change. She loves working with glass, but she’s also interested in enamel work and metal mosaics.